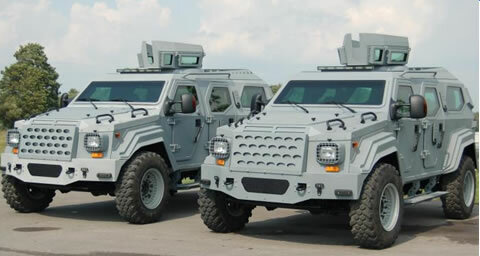 It can stop a bullet from an AK-47, shrug off a roadside bomb, and it makes a Hummer look like a chick car. The $200,000 (U.S.) Gurkha is coming to a road near you &#8212; thanks to a King City-based company that is finding itself in demand because of the global war on terror. the unobvious problem of the suv is that they make people less safe in general terms. they up the ante in the virtual war of the road, encouraging people to feel safer, or less safe, increasing stress, and encouraging bad decisions. i just wish they would police and enforce the 3 ton limits more effectively.